Everyone loves a pie. 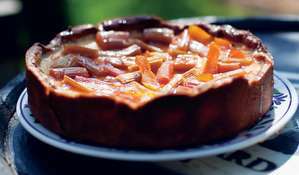 Pies are part of our food culture and heritage, as British as ... pork pie. 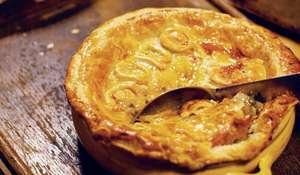 Pieminister - the creation of Tristan Hogg and Jon Simon - have led the way in reinventing this great British classic for a new generation of food lovers. With their brilliantly creative and delicious recipes making the likes of their Heidi Pie, Pietanic and Moo Pie into household names, pieminister have brought free-range, luscious and locally sourced baking to the country's top delis, food halls and high streets. Pieminister pies are more than a comforting plate-full for the winter months. Throughout the year Tristan and Jon search out the best fresh, natural ingredients, creating an ever-changing, wonderfully varied menu. 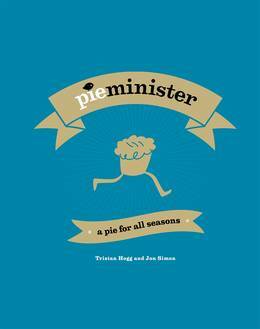 And in pieminister - a pie for all seasons you will find recipes that are filled with seasonal ingredients, great for spring suppers, summer parties and autumn lunches. Small pies, big pies, breakfast pies, fruit pies, family pies and pies that make you go oooooh! Fantastic ingredients and the best pastry you've ever tasted. Into the oven, be patient and then enjoy. Live and eat pie!